An ideal solution from Outsunny for gardening hobbyist who want to keep their plants warn and safe. Using the solar energy, the greenhouse can maintain a temperature ideal for plant growth with the help of 6 breathable roll up windows. 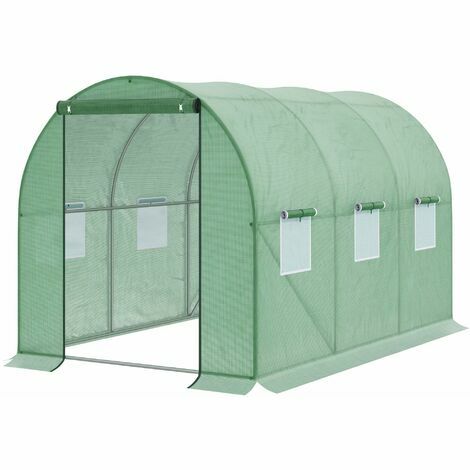 Constructed from galvanized steel frame offering added stability while 4 ropes and stakes are included for added safety.